The first Annual General Meeting of the Chamber will be held on Tuesday 23 February 2010 at 6pm at the offices of UHY Hacker Young LLP. 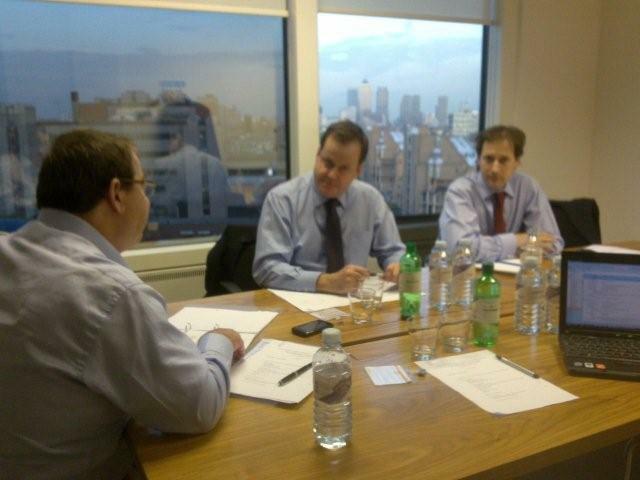 The first Business Meeting was held on 24 February 2009. Since then the Chamber has organised, either alone or in conjunction with the Czech Embassy, events ranging from a Business Breakfast with the Governor of the Czech National Bank, attendance at a speech delivered by the Prime Minister of the Czech Republic at the London School of Economics followed by the chance to meet him, an Industry Seminar in conjunction with the London Chamber of Commerce and Industry, a Czech Film event, including a talk by industry experts, supported by a representative from the Czech Film Commission and showing the UK premiere of the romantic comedy “The Wrong Mr Johnson”, as well as other social events, including a Czech British-Czech and Slovak Group; and the first Annual Dinner in November. Following the Chamber’s experience from its first year of existence, the Executive Committee has discussed the shape of the events programme for 2010. The members of the Executive Committee believe the way forward is to concentrate on organising two or three business related events, as well as the AGM and our Annual Dinner. Additionally, of course, if we are fortunate enough to have notable visitors from the Czech Republic, the Chamber will continue working with the Czech Embassy and invite members when such opportunities arise. The 2010 programme will be discussed in considerably more detail at the Annual Meeting. The Executive Committee would like to hear the members’ views, in particular, on how to increase attendance of events and how the CBCC can provide members with good value.